Struggling when your toddler prefers one parent over the other? Learn the best ways to help him cope with separation anxiety and take to both parents. “What am I—chopped liver?” my husband joked. Although he’s a hands-on dad and invested in our kids, our then-toddler always preferred me over him. Even after being away at work, my husband couldn’t convince our son to so much as pay him any attention. He’d start playing games, but our toddler wanted nothing to do with it. And diaper changes? I was the “lucky” one who had to do them all. We have to hand it to our partners for being patient when our kids prefer us over them. It’s easy for them to tune out—turn on the computer, stomp and sulk, or just about give up on trying to spend time with the kids. Or maybe your toddler prefers dad over mom, and you’re left feeling like he doesn’t want to be with you at all. My husband and I knew that kids go through stages of preferring one parent over the other. Still, we wanted to be proactive and see if we could make any changes instead of waiting it out. Most importantly, we didn’t want to fall into habits that might make it harder for our son to rekindle his relationship with his dad. While you don’t want to give in to your toddler’s demands, you also don’t want to punish him for feeling this way. He may be going through developmental changes that surfaces as separation anxiety. Don’t discourage him from feeling upset or make him feel guilty if he shuns one parent. For instance, don’t take away a beloved toy truck just because he insists on going to the park with dad, not you. Acknowledge his feelings without trying to rush him through them. These are valid emotions he feels, and the more he knows you support and love him no matter what, the less terrible he’ll feel. Those diaper changes my toddler preferred I—and only I—do for him? That was our first big mistake. You see, giving in to your toddler’s demands will only reinforce whatever beliefs he might have about his preference. That he was right to ask for mom, or that dad is the only one who should be feeding or carrying him. He’ll also learn that his parents will give in if he continues to have a meltdown. While we should pick our battles now and then, he learns an unfortunate lesson about the power of throwing a fit. Plus, giving in doesn’t allow him to spend time with the “rejected” parent. Sure, changing a wailing toddler’s diaper may not be the quality time mom had hoped for. But it does send the message that you can take care of your child just as well as dad can. Yes, it’s easier to cave in and just change his diapers yourself, especially if it means avoiding yet another tantrum. But the more the rejected parent gets involved, the less likely your toddler will resist her participation. I used to work early in the mornings—so early that I was out of the house before our son woke up. This meant my husband had to handle him on his own, from breakfast to school drop-offs. As hectic as it was, this regular time with him reinforced the idea that dad and I were both capable of caring for our son. He was able to be alone with his dad every day doing regular tasks. In short, they had to spend time together with no option of pulling mom into the mix. Regular time with each parent can doesn’t have to be a daily ritual, either. You can have a weekly special treat of getting Saturday ice cream, or playing at the park in the early evening, for example. Schedule regular one-on-one time with each parent, providing more opportunity to be together. 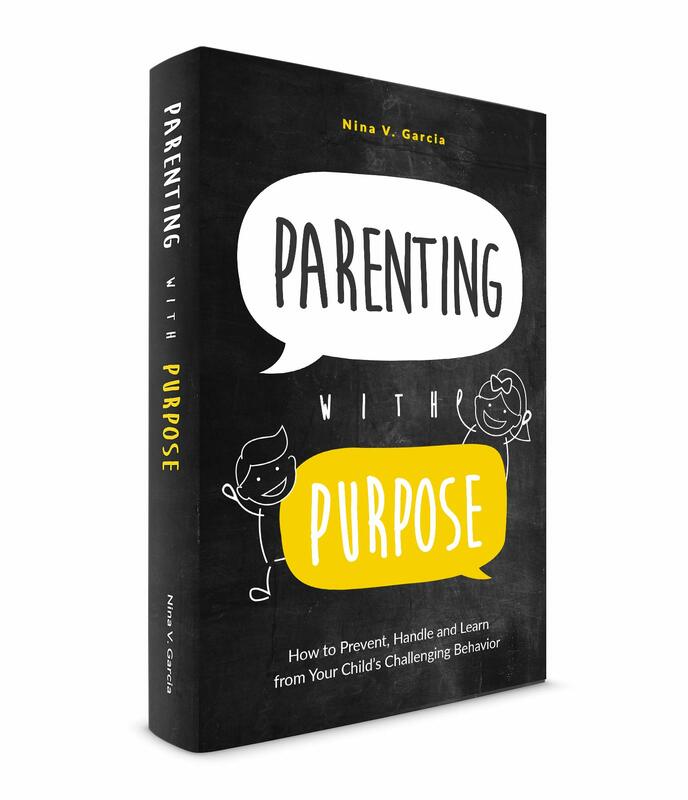 “Thanks for writing this and sharing your personal experiences and wisdom.” -Audrey C.
Getting both parents involved in the household is a must if you want to ease the toddler attachment at home. Yes, one parent might spend more time with the kids and has more opportunity to handle household tasks. It’s not so much about dividing duties, but rather encouraging active participation when the other parent is able to. One way to do this is to designate chores. One parent could be in charge of giving your toddler a bath, changing diapers, or dressing him in the mornings. Your toddler learns that both parents do certain tasks, especially when you have the opportunity to do so. Plus, having both parents involved in your toddler’s routine makes him less likely to resist. Over time, he won’t demand that one parent change his diaper if he realizes that the other often does it. And most important, your toddler realizes that neither parent is just “helping out.” That both parents are invested in caring for him, regardless of how many hours he may see you in a given day. The problem? Hovering like this reinforces your toddler’s belief that only one parent in charge, and not the other. He’ll feel even less inclined to spend time with the rejected parent, for instance, if he thinks that parent has no idea what they’re doing. Plus, this undermines that parent’s capabilities. Sure, he may not do things “how it’s done,” but this is a partnership. Both parents should be welcome to do things their way, even if it means your toddler resists at first. Allow him the opportunity to develop his own routine, however different it may be from yours. In doing so, both your partner and toddler feel more confident. The other parent is better attuned to your child’s needs and doesn’t feel undermined when he does things differently. Read 8 ways to explain emotions to your child. It’s so easy to take our children’s behavior personally when they prefer one parent over another. 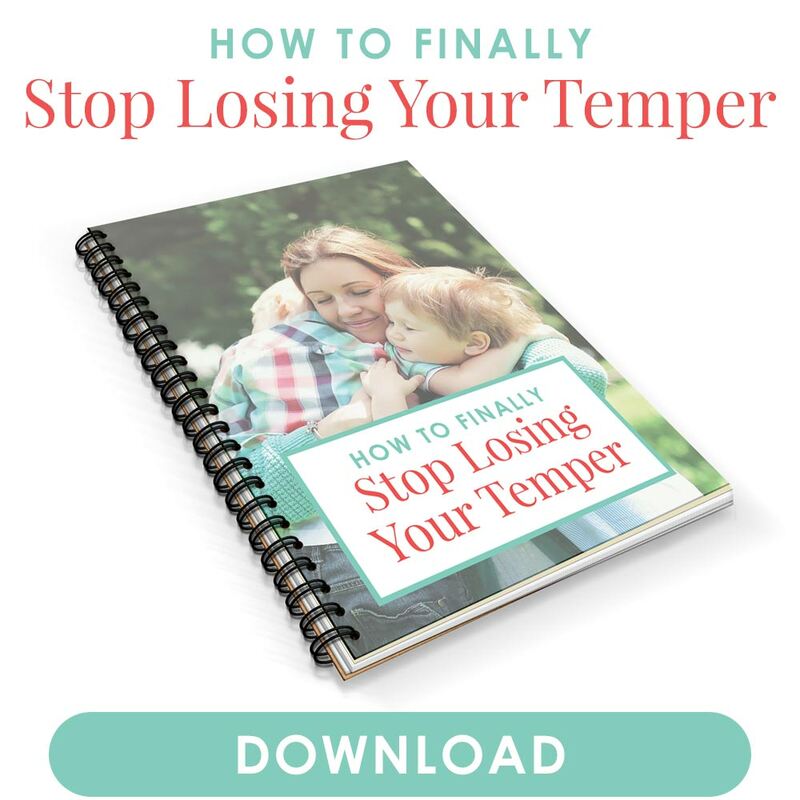 The tantrums that don’t let up, the outright rejection when your toddler doesn’t want daddy—all this can take a toll on anyone. But the most important thing for the other parent to do is to stay involved. Don’t give in to your toddler’s demands—instead, acknowledge his feelings. 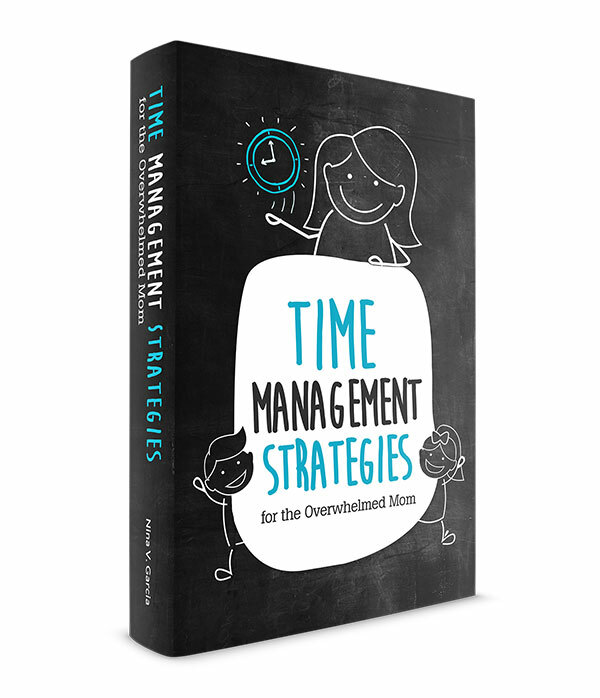 Encourage regular time with both parents, including doing household tasks. And make sure both of you have the opportunity to get involved, even if it means the “preferred parent” stays in the background. Because tuning out stresses everyone: the other parent feels incompetent and uninvolved, while the other feels resentful and burdened with more responsibilities. It also validates your toddler’s unfounded reasoning and preference for just one parent. Those days when my son preferred me over his dad have ended, thanks in large part to implementing these tips. Hang in there! 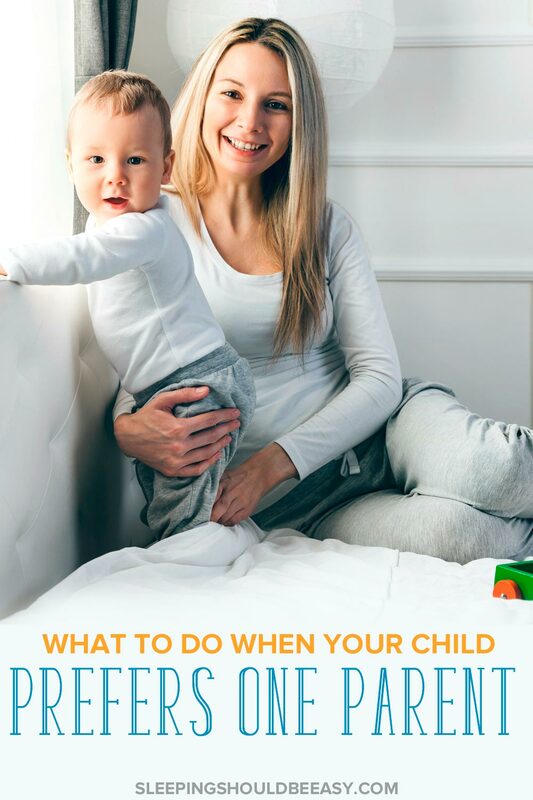 One you implement these tips too, your toddler will rekindle an attachment for dad and won’t see him as chopped liver anymore. Liked this article about what to do when your toddler prefers one parent? Share it on Pinterest and Facebook!